When you've interviewed for a job and thought you hit it out of the park, you may be expecting an offer and excited about your job prospects. Unfortunately, sometimes every job seeker ends up disappointed by a rejection when they thought they would get an offer. If you find yourself in a situation where you are passed over for another candidate, it may be tempting to get mad and take action. 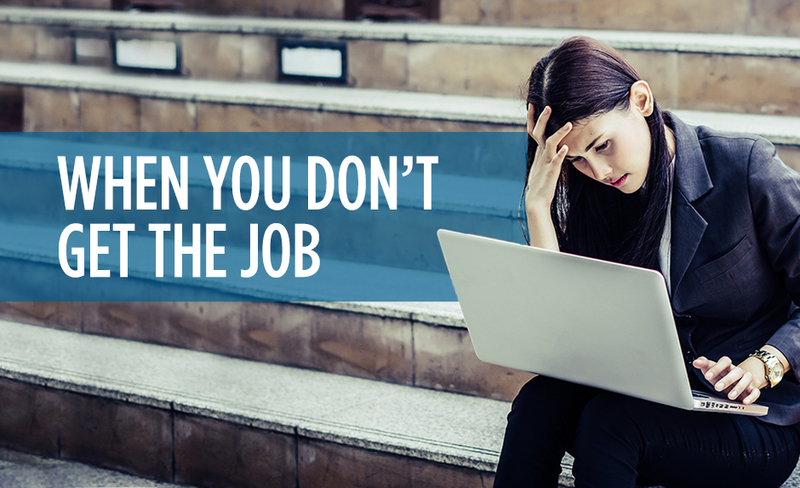 Unfortunately, if you do the wrong thing, your response to not getting hired could hurt your future career opportunities. Posting on social media. It's tempting to turn to Facebook or Twitter to send out a tweet or put up a post complaining to all your friends about the company that didn't hire you. This is a bad idea. Not only will you burn your bridge at that business if a job ever comes up again, but other potential employers will see your posts when they search your social media --which they will almost definitely do when they vet you as a candidate. Any company that is considering hiring you will likely be turned off by the concern they could become a target of your vitriol on social media too. Bad-mouthing the business. If you bad-mouth a company just because they didn't hire you, this will also make you look bad to other employers. It comes across as sour grapes, even if you have legitimate reasons to gripe about the company's hiring process. Begging for another chance. Once a company has made up its mind to hire someone else, making yourself look desperate by begging for another chance isn't going to change their minds. Instead, show the company how professional you are by being courteous and thanking them for the opportunity. If you play your cards right and handle the rejection with grace, the company may remember you and reach out if an opening comes along that is better suited to your talents. What should you do instead of venting when you get passed over for a job? Turn to Eastridge Workforce Solutions so you can find a great opportunity in a company that will be an even better fit for you. Contact our staffing service today to jumpstart your job search and find out how our staffing professionals can help you to land the job of your dreams.